The Fourth of July is a national holiday in the USA where the whole country celebrates the anniversary of the Declaration of Independence which took place on July 4, 1776. But everyone knows that, right? Of course they do. But what they might not know is that the Fourth of July has its very own rap song. Yes it does. 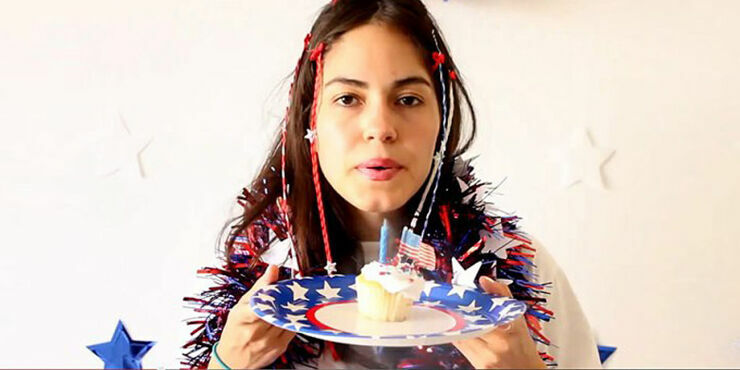 It comes courtesy of Rosa G (aka YouTube comedian Karla Solarte) who calls this the 'Official Music Video for 4th of July' and says it's to celebrate 'all the grilling and chilling.' Which there will be plenty of no doubt, along with the odd firework or two. Or maybe three. There might be a few American flags on show too, as the Fourth of July is traditionally a holiday where everyone can get into that patriotic spirit, no matter what their politics. And Rosa G has plenty of US flags on offer in this video. In fact the stars and stripes are everywhere. From swimsuits to paper plates, Fourth of July doesn't get any more patriotic than this. 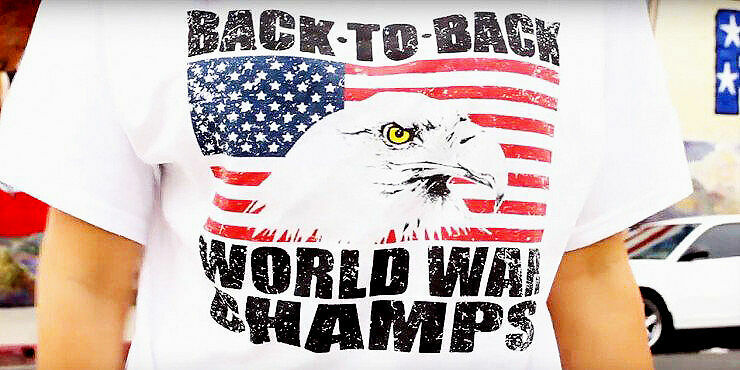 Except maybe a poorly sung rendition of The Star Spangled banner. With the visuals in place, and with the sounds of a Casio keyboard and perfectly-pitched awkwardness, Rosa G lays down her lyrical bombs. Bombs which feature such rhyming gems like 'July Fourth is second to nada / walking home with an empanada.' She's Mexican, you see. And that's not even starting on the chorus which you'll be rapping at your family as your sit around the pool doing all that chilling and grilling, as you bask in the red, white, and blue that only the Fourth of July can muster. While you're around the pool, Rosa G also invites you to 'Wave a tiny flag from a poool nooodle'— because there's no excuse not to. So when the family or friends turn up this year, put this catchy number on full volume and wait for the strange stares to come your way. It'll be fun. Honest.